wow friend you have been super busy! I am loving all that you are creating and I am so happy you are playing along with us! Beautiful work, great colours and details! I’ve been having a lot of fun using my stash. It was a great weekend to be holed up scrapbooking 🙂 So flattered you love it because you are one super talented lady. wow loving the newest addition, that text paper is super! 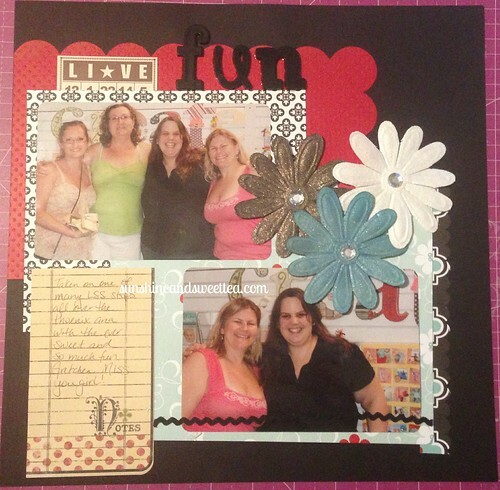 thanks for linking up with scrapMuch! So flattered. Thank you Laura. All the paper on that one (minus CS) is from the Pink Paislee She Art line http://www.pinkpaislee.com/?portfolio=she-art from a Pink Paislee mystery grab box I bought last year.